Thanks to their father, drummer by trade himself, the sisters came in contact with music and the vast world of percussion instruments from a very young age. The duo however didn’t form until 2009 to partake in the nationally renowned competition (Jugend Musiziert). There they not only won first place nationally but also received various advancement awards. As a result the duo was accepted into the German Music Foundation (Deutsche Stiftung Musikleben) and the Karl-Jegg-Foundation and mad guest appearances at the Schleswig-Holstein Festival, the Young Euro Classics, the KALIMA Festival, the ADAMS Festival and at Stars of Tomorrow (Stars von Morgen). In 2016 the duo reached first place at the PAS Italy’s PercussiveArtsWebContest and were awarded with the Radio-Kulturnachtpreis Ulm/Neu-Ulm. PercussionDuo Jessica & Vanessa now hold a very versatile repertoire and are thereby able to vary their emphasis for different concerts. With a passion for new music the duo also features pieces by notable composers of the past 50 years; Mauricio Kagel, Steve Reich and Nikolaus A. Huber to name a few. The pair also experiments with interpretations far across the boundaries of genres. Classical literature by J.S.Bach, Claude Debussy or Astor Piazolla builds the contrast to modern compositions for the drum set. Live electronics and improvisation have both become valuable assets and create a most welcome add-on in the sisters arsenal. Scenic and music-theatrical presentation are a given in the duos performances. Regardless of genres, the duos concerts are an experience for all the senses. Experimental or classical, minimal music or popular music, the young musicians thrill their audience through sonic depth, expression and virtuosity. Both sisters are also high in demand as educators. They frequently receive invitations to act as speakers at cultural conferences of the ministry for Baden-Württemberg and conduct workshops at various schools all over southern Germany. Both also regularly teach at the Landesakademien in Weikersheim and Ochsenhausen. After countless international master classes and an Erasmus at the Royal College of Music in London, both sisters graduated with distinction in the class of Prof. Marta Klimasara, Prof. Klaus Dreher and Prof. Jürgen Spitschka at the Hochschule für Musik und Darstellende Kunst in Stuttgart, Germany. 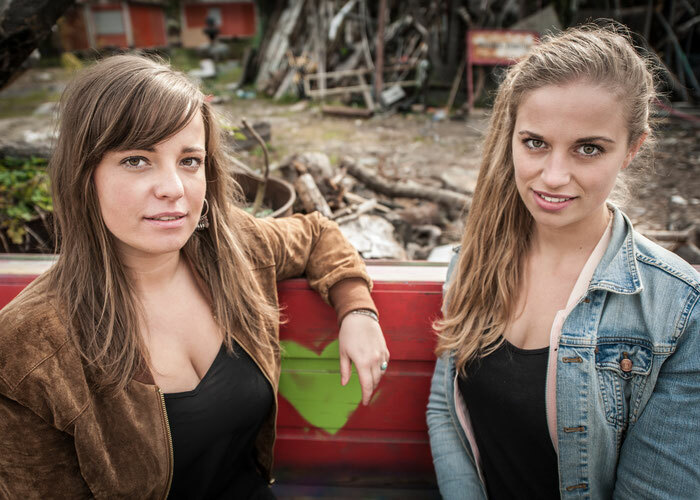 Percussionduo Jessica & Vanessa Porter is Endorser for Adams and Malletech. Both sisters currently live and work in Stuttgart, Germany.